I only had five and a half days in Cebu. It was short and sweet. I was totally happy that even though it was quick, I was able to meet a few of my friends. My dearest friend Jane and I, for example, met up at our friendly neighborhood sari-sari store (SM Consolacion. Haha). We had cake and tea in between conversations and laughter at Bo's. Time flies so fast when we're together. And then, the day before I flew back to Manila, I had lunch with Mimi at Everything Yummy [food+love]. I also finally met Mel there. She's the person behind EYummy. If you do not know yet, they serve the yummiest pork ribs this part of the planet. Mel was everything I imagined her to be -- gentle and soft spoken and smart (she graduated with honors at the Ateneo de Manila!) and funny and nice. She is far more beautiful in person and by golly, she's so tiny! Was that a 20-inch waist? Haha. I enjoyed every second I spent with her and Mimi. I hope to have another round of conversations with those two. After that hearty lunch, I rushed to meet Michell and Anne who asked me to teach them postprocessing techniques. But since they already know Photoshop, I just shared with them some important tips and spent the entire afternoon talking about life, love, and photography over french bread at La Vie Parissiene. I wish Michell and Anne the best of luck. They're going to do photography together and I believe they'll be a force to reckon with. Dinner that day was spent with Yana, Jinky, and Taichi at La Maison Rose. I always feel young whenever I'm with these girls. They make me laugh. Their openness is refreshing. And despite the age gap, they totally get my humor. The rest of the days were spent with my family, save for the day I took photos of Michell at Shangrila Mactan (will post photos soon) who spent her birthday there. But then, she's like family to me now. Before my brother went back to Iligan (via CDO), we had dinner with him and my nephew Joni at a chinese restaurant (sadly, I could no longer remember the name). 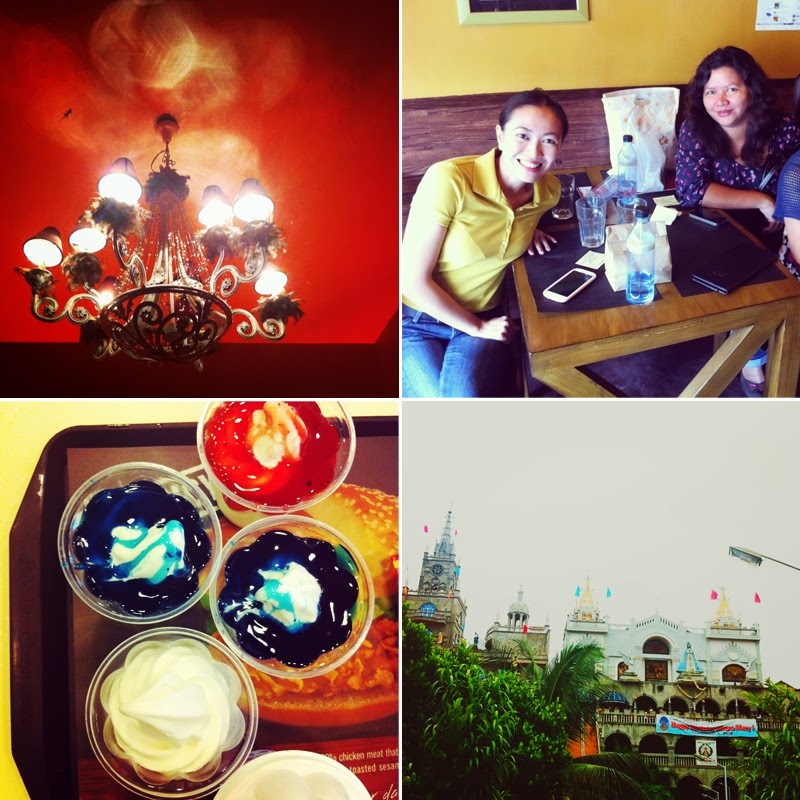 And then we went to McDo for some sundae and spent the night talking about politics, business, and family. I wish I stayed longer in Cebu. I wanted to try more restos and see more people but didn't have enough time to do so. Still, it was a good trip. And a very happy one.